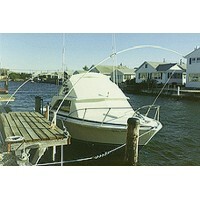 Prem mooring whips 12ft 2/box Boat Size: 23'Max Load: 5000 lbs.Length: 12'..
Prem mooring whips 14ft 2/box Boat Size: 28'Max Load: 10, 000 lbs.Length: 14'..
Prem mooring whips 16ft 2/box Boat Size: 33'Max Load: 20, 000 lbs.Length: 16'..
Prem mooring whips 8ft 2/box Boat Size: 18'Max Load: 2500 lbs.Length: 8'.. 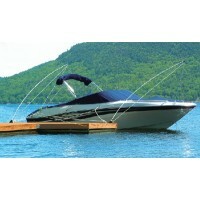 These fiberglass whips are exceptionally strong, attractive and will not obstruct your waterfront vi.. 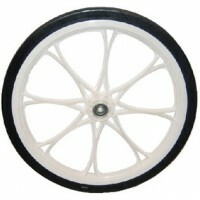 Manufactured from the same materials and to the same quality standards of the Premium Whips, these U.. Prevent boat and dock clashes. 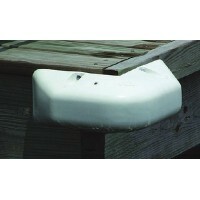 Constructed of solid fiberglass and equipped with the unique, patente..
An economical way to protect your boat in higher wake areas. 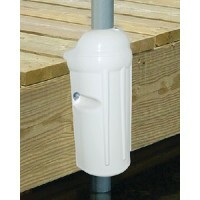 Designed for fresh water use, low lake .. The easiest way to carry gear from the car to the boat. 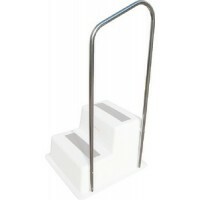 The curved handle design reduces bending-ove..
Made of thick, pliable, abrasion resistant rubber strips which can be nailed along the edges of dock..
Made from the same great rubber material as Taylor's dock extrusion. 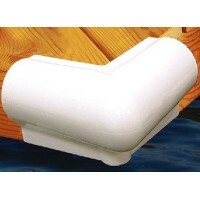 Use with our dock strips for co..
Rolls with impact to fend off boat. 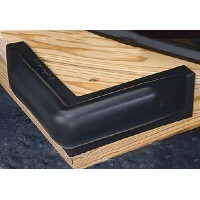 Same soft vinyl as in Taylor fenders. Extra heavy galvanized bas.. 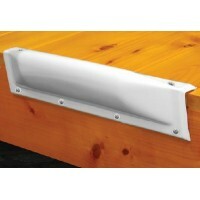 This 90° corner (outside) will protect your boat from this critical point. 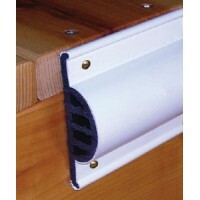 Inside structural ribs pr..
Great protection for pipe supported type docks. 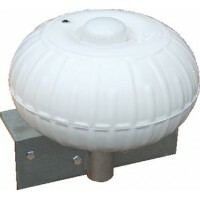 Molded from marine grade vinyl with an inflation val.. 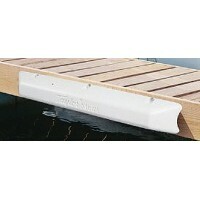 Heavy duty double molded vinyl dock edging. Size: 3-13/16"H x 1-7/8" WColor: BlackLength: 10' Straig.. 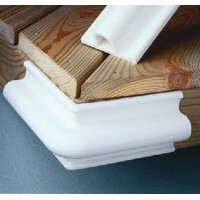 Constructed of quality marine grade resins with a double molding process. Profile has heavier wall s..
Will not deteriorate in the sun or mar your boat. 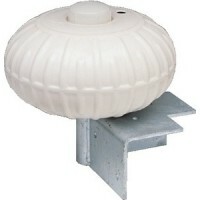 Polyester textile and closed-cell foam inner cushi..
Protects the side and the top of the dock with a 1-1/4" cushion above dock level. Made from the same..
Mooring whips are made of high quality fiberglass poles, aluminum magnesium base units, tips and moo..
Will not deteriorate in the sun or mar boats. They utilize a heavy duty, 100% polyester textile enca..
For larger Gunnel Guard applications such as work boats and launches or for superior protection for .. 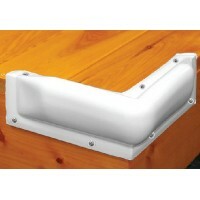 Heavy duty vinyl dock bumpers are ideal for rough conditions, and can take a beating. 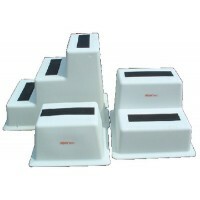 Made from UV r..
Molded in durable UV resistant polyethylene with non-slip pad on top of each step. 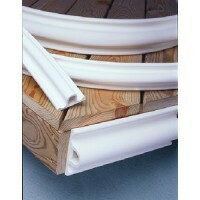 1-1/2" wide flang.. 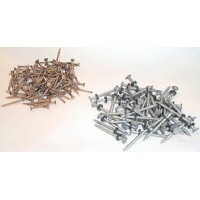 Stainless - 1-1/4" #12 nails with ring shank.Galvanized - Washer included 1/8 lb blister card packs-..